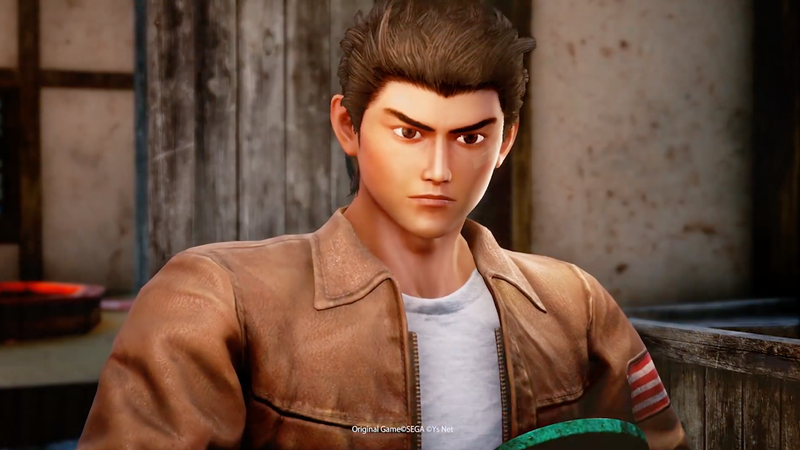 Shenmue 3’s first major trailer debuted yesterday, showing off a world of martial arts, beautiful locales, and uncanny facial expressions. For some, including my peers at Kotaku, it was troubling. For me, it was everything I could have asked for. Yu Suzuki’s Shenmue released on the Sega Dreamcast in 1999, revolutionizing how games handle open worlds. From Dobuita’s packed streets to the sunlit piers of Yokosuka Harbor, Shenmue offered a fully explorable world where characters engaged in daily schedules and every drawer could be opened. The result was a game that felt expansive and detailed, where danger and excitement lurked around every corner. The tale of Ryo Hazuki’s quest to avenge his father’s murder felt grand. It grew even more expansive in 2001’s Shenmue II, which took the story to larger cities and locations throughout China. Shenmue was originally imagined as an 11 chapter epic, but the story was put on hold for over 14 years until Shenmue III’s Kickstarter campaign was announced at E3 2015. A dedicated fan of the series, I was among the first waves of backers. The latest trailer’s blocky visuals has many people concerned, but I just want Shenmue, with all of the good and all of the bad. Shenmue has always been clumsy. From Ryo’s stiff walk cycles and stuffy English voice acting to the way his various martial arts moves seem to suddenly pop into action, the series has always had a rigid quality. But that rigidity comes with confidence and romantic aspirations. Shenmue aspires to be a grand wuxia narrative more than anything else. The world is packed with wizened martial arts masters, devilish mafiosos brandishing forbidden techniques, and ancient prophecies. With its magnificent vistas and tightly edited martial arts sequences, the Shenmue III trailer is a perfect distillation of what the series has always wanted to be. The character models lag behind today’s standards and should give anyone pause given the game’s historic $6.3 million dollar crowdfunding campaign. But in spite of the stiff elements, the romantic core still shines through. And while time will tell if the game’s technical goals are achieved, it seems that Yu Suzuki’s vision has remained consistent even after all these years.